Remember , remember, the fifth of November! 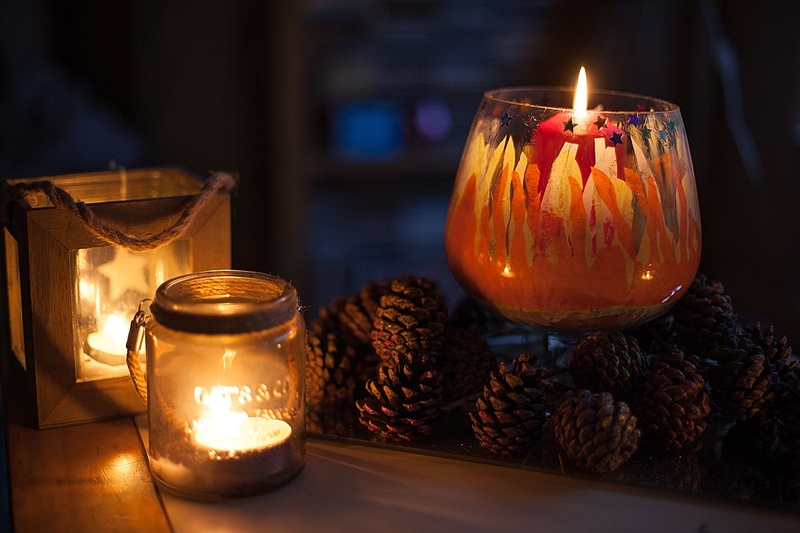 The theme this month for our #Bostikbloggers challenge is, BONFIRE. 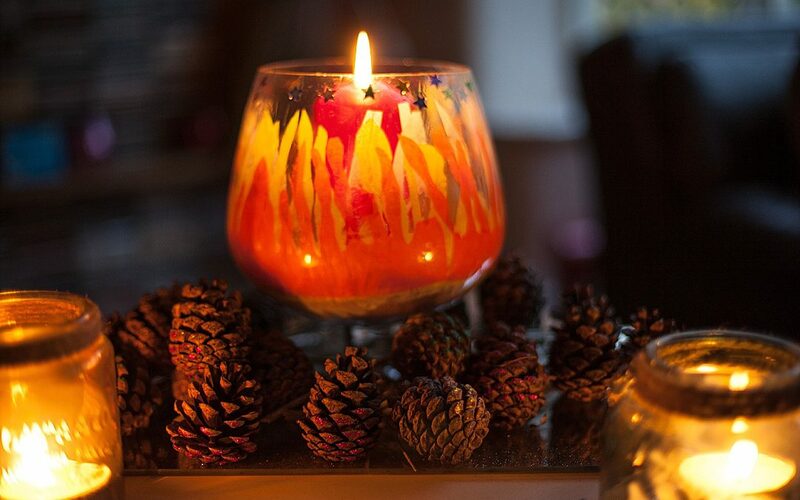 We decided to create a bonfire inspired table centrepiece to help decorate the house for our annual November 5th party which would help to create some twinkly ambience. A glass bowl or hurricane lamp. 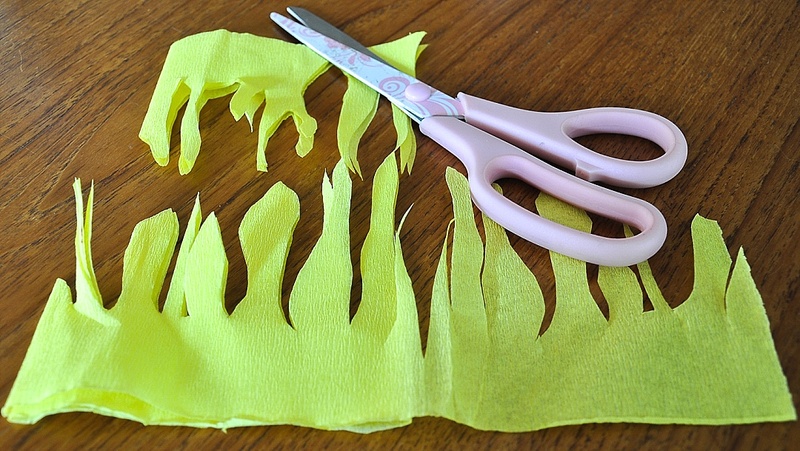 Measure a piece of crepe paper to fit around the circumference of your glass jar and then cut the flames similar to those in the picture below. You’ll only want to let the flames go about a third of the way up the jar, otherwise you won’t really see the candle when it’s finished. Now repeat step one with the other crepe paper colours. 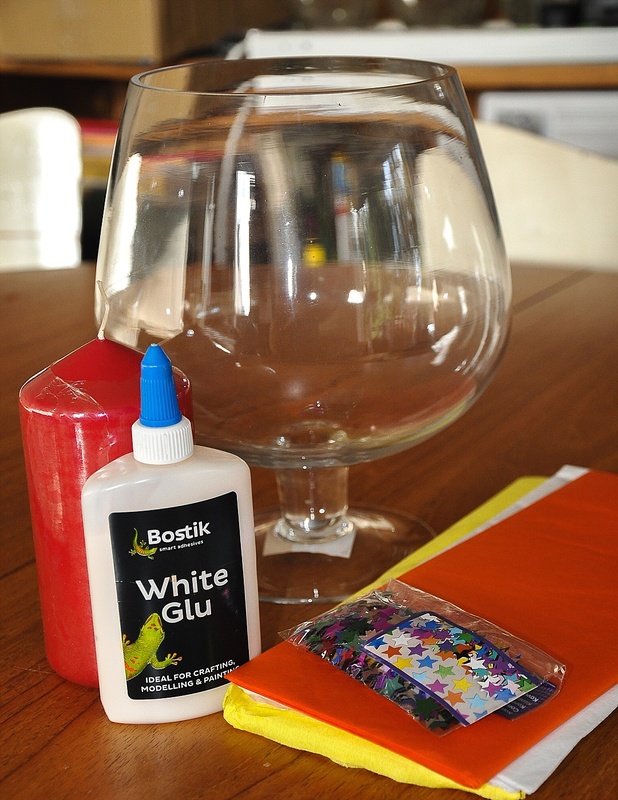 Next you’ll need to grab a paintbrush and start brushing the Bostik White Glue around the inside of the container where you want your flames to be. Don’t worry about covering the whole area, initially you’ll just need for the bottom to grab hold. You could glue this to the outside of the container but having it on the inside just makes for a neater finish. Now this is the tricky/messy part. Carefully take the crepe paper that you’d like to be the colour that will be predominantly be seen (we wanted orange as our main colour) and carefully start sticking it onto the inside. The flames themselves can then be teased into position using a little of the white glue mixed with water (1:10) and just brushed over them to fix in place. Repeat this process by overlaying the other colours until you are finished. 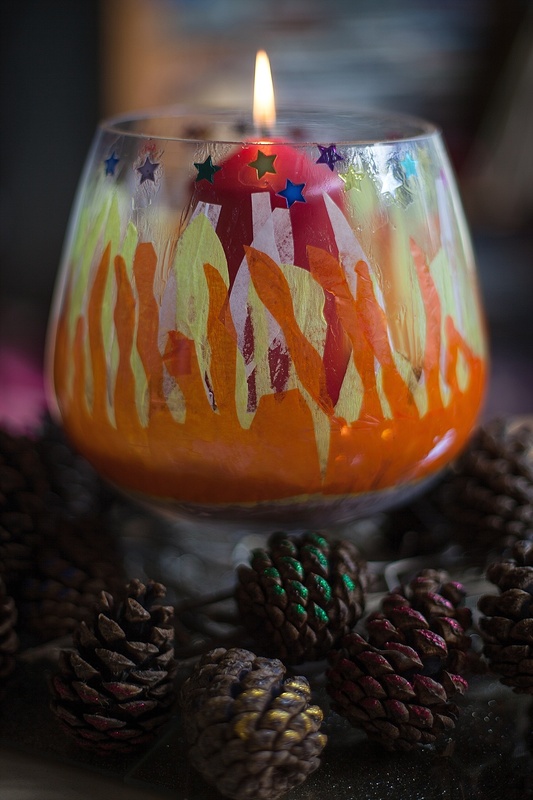 We wanted to put the bonfire glass on some wood so we collected twigs and pinecones on our weekly walk in the woods. If the pinecones are closed, which they probably will be in this weather, put them on a baking tray in the oven at 200 degrees for about an hour and they’ll open as if by magic. Once they had cooled down the children decorated the pinecones with glitter pens and left to dry overnight. All that now remains is to put all of these elements together to create your centrepiece!